F1 alchemy almost never happens. Things change slowly; tortuously; at the margins. And outcomes tend to be determined in large part by who has the most cash to splash. But try, on the basis of last season's efforts, telling that to Williams. It started having just experienced a desperately disappointing 2013 campaign wherein it took but two points-scoring finishes, and for the most part was ahead on pace only of the 'B class' of Marussia and Caterham. And yet it finished 2014 making a coherent case that it was the imperious Mercs' most consistent irritant on lap time over the season. And its habitual points-scoring - including nine podiums - totalled up to a haughty third place in the constructors' table, ahead of the much more handsomely-resourced teams of Ferrari and McLaren. It was possibly the most astonishing - almost certainly the most welcomed - story of the year. So why was this so? Well as its Chief Technical Officer Pat Symonds pointed out: 'There isn't a magic bullet, there never is...' In some factors the improvement owed to the team's doing; in others the stars rather aligned for it. Getting the jewel of the Mercedes power unit was a massive help of course, but then again the other Merc customers were nothing like as competitive. 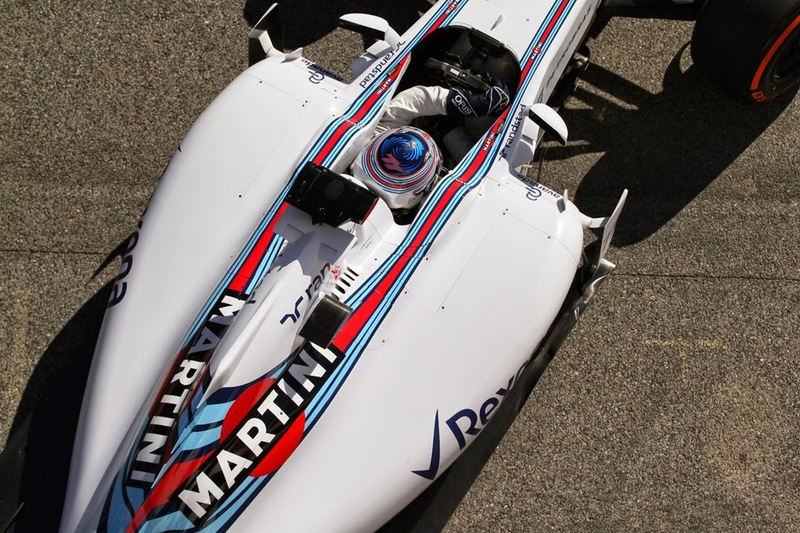 Claire Williams filled the apparent management void that had existed since Toto Wolff left. Symonds was brought in and changed a lot - not so much in personnel but rather on how they worked. Before the car was being flooded with new pieces without much coherence, a habit which stopped. In typical Symonds fashion the operations were given heavy focus too; the team's pit stops for example improved from being one of the worst out there to one of the best. The technical regulation changes, sending everyone back to base camp, helped. The team's brake-by-wire was considered excellent. The passing of exhaust blowing of diffusers, something that Williams never did well, aided the team also. Its super slippery car - designed in part because it assumed the Merc's fuel economy would be worse than it was - meant that the FW36 not only flew in a straight line but also that the car was probably the most economical out there, including the works Mercedes. It even managed to attract a new title sponsor, something not done by any F1 team in who-knows-how-long. Rather taking from Paulo Coelho's The Alchemist, last season everything in the Williams' universe conspired in its favour. As for pre-season for this campaign, over the first two tests while the team hasn't been troubling the tops of the times no one is worried on its behalf. Williams' way is to leave the headline-grabbing to others when it doesn't matter and instead get on with its productive work, just as it tended to do in Friday practice sessions last season. Both drivers look and sound quietly content. 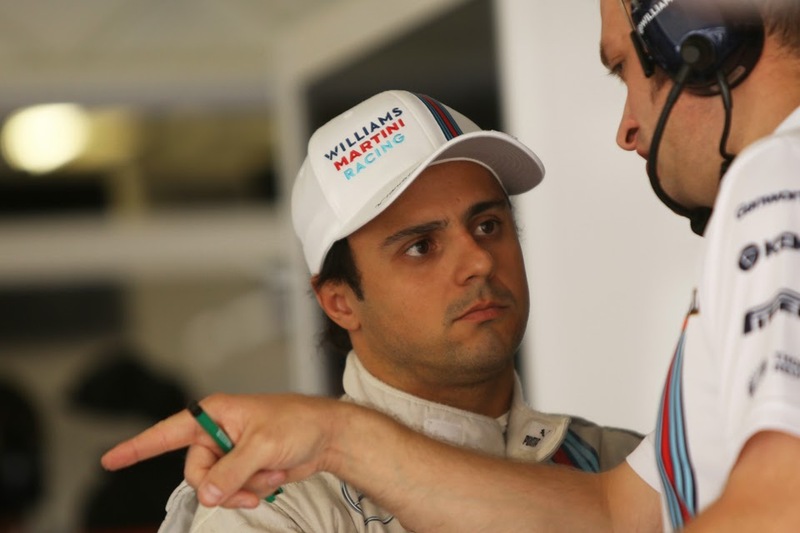 Its rivals consider Williams a conspicuous threat. There too are theoretical reasons why Williams is best placed of everyone to get on terms with Mercedes, or at least run it closest. Unlike most of the teams around it the Grove squad has stability on its side. With a year's learning it can build its car around the power unit's compact layout more effectively. As mentioned the team last year deliberately aimed for a low drag configuration, and one consequence of this was that the closest the FW36 had to a shortcoming was a lack of rear downforce. Trackside observers in this year's testing reckon the car looks more stable in that regard. And even with this it's still been getting the highest numbers through speed traps. The consensus remains that Williams is in the thick of the fight of best of the rest behind Mercedes. Perhaps even that it leads it. On the meagre downside however, a relatively common criticism of the team last year was that there were occasions - Austria and perhaps Canada too - when a possible win was not grasped due arguably to over-conservative strategy. Given where the team had come from in a short space of time the approach was perhaps forgiveable. But onlookers will be less forgiving in 2015. Another concern is that a very similar Williams preview to this would have been written for the 2013 season, following its 2012 wherein it had restructured and apparently successfully reversed its slide. And we've mentioned how bad that season turned out to be. Still, if history was to repeat this time it was be a major surprise. In other words, while he's not one from the very top drawer, he is quick, experienced as well as is not one to kick up a stink on the inevitable occasions on which a growing team doesn't quite get things right. Come the summer break midway through last season it was tempting however to view things as more of the same for Felipe - he was looking a little bewildered, erring too often and more to the point was being outwardly trounced by his team mate. Such an assessment was simplistic though, as Massa's campaign had at that point been undermined by a series of accidents, not all of which were his fault, to the point that in Hungary he had to run with an old spec car, which of course contributed to him again being out paced. After the break though he started the show the good form that we all know is there, and not for the first time in his career a single strong podium finish was what heralded the upturn. In Monza he finished third behind the Mercs after a flawless drive, then in Singapore - a track on which he's often excelled - he put in possibly his drive of the year, nursing his Pirellis to fifth place at the end on a day that his team mate was nowhere. He topped off the season by hunting down leader Lewis Hamilton in the late laps in Abu Dhabi, in an effort that may have brought victory without a battery problem, and that had a lot of the look of Felipe at his very best. But then again and as intimated no one's ever doubted Massa' ultimate potential, it's just that for years now the crucial question has been whether it can be unlocked. At Williams last year we were a bit more confident than in a while that this could be answered in the affirmative. Completing the harmony of all matters Williams in 2014 I give you Valtteri Bottas. He entered the sport in 2013 with much promise and in a team that raved about him, though that campaign left the jury still out. Admittedly the FW35 was no machine to show your skills, and there were flashes of potential in Canada's qualifying as well as in Austin. But for the most part in races he ran behind Pastor Maldonado. Perhaps this was what Pat Symonds had in mind when he spoke of Bottas then as 'a rookie in what was frankly a rookie team'. In 2014 driver and team rose in unison. Bottas's speed, and consistent speed, were stunning and he tended to leave Felipe Massa behind on that score - remember that if Massa's anything he's quick. We know the Brazilian is a strong qualifier also but Bottas was the quicker on 13 Saturdays from 19. 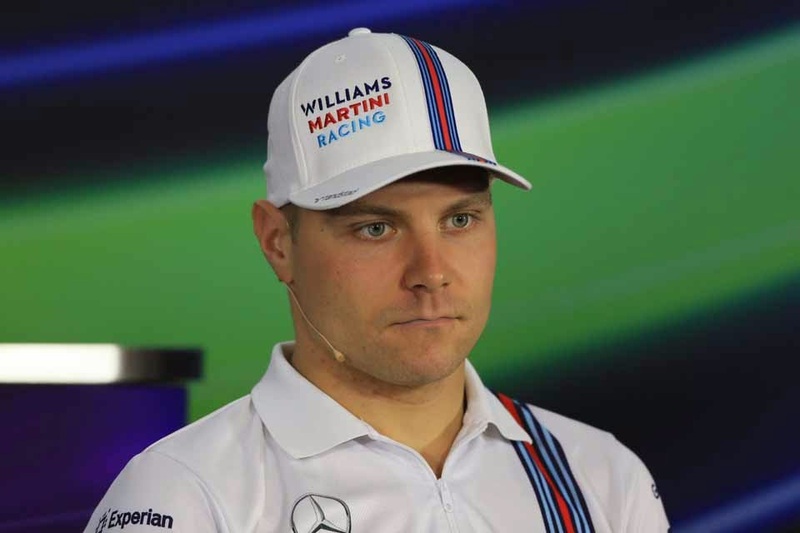 This was all allied to Bottas being robust in the overtake - seen most gaudily in his rises through the pack in no time in Australia, Silverstone, Monza and Abu Dhabi, as well as apparently being impervious to pressure, on show for example in Austria where he gave the Mercs their most competitive run in normal circumstances all season as well as in Germany as Lewis Hamilton filled his mirrors in the late laps. Mistakes were few - his tagging of the wall in the opening round, which cost him a probable podium appearance, was the only major black mark - as were off days, certainly after the FW36 really reached its competitive pitch from Austria onwards. But Bottas's offering is not just about pace. His technical feedback has the Grove team purring, as does his ability to stretch out the life of a single set of Pirellis. Indeed a Finnish colleague likes to tell all that Bottas is just like Mika Hakkinen, except more intelligent. Just about everyone can see what he means. Bottas - a lot like Daniel Ricciardo - last season having been given a set of wheels that would allow him to fight near the front demonstrated that he is a driver not just with pace to throw away but also one who seemingly ticks all of the boxes. Surely his first win, perhaps even his first championship, is a matter of time. If 2014 was a season in which Bottas just like his team built strong foundations then also just like his team in 2015 the key matter is the extent that he can build further.